Delta Air Lines says it lost $25 million-$50 million in revenue because of Sunday's power outage at Atlanta's Hartsfield-Jackson International Airport. 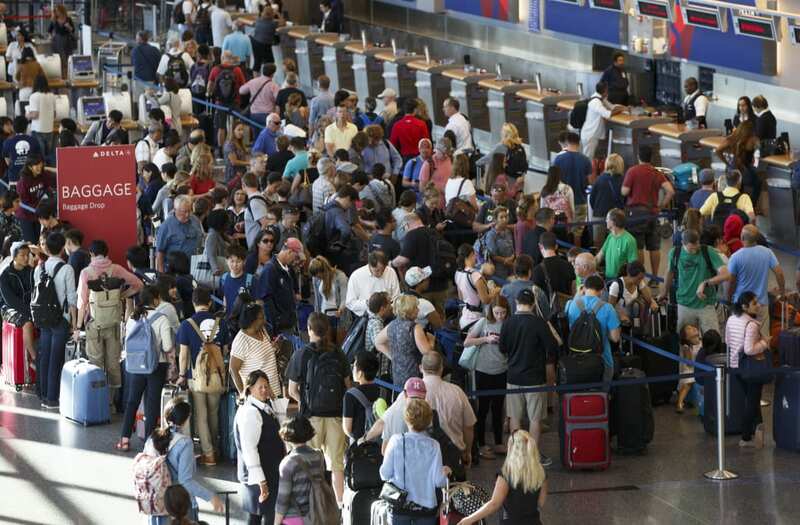 Delta Air Lines lost between $25 million-$50 million in revenue due to Sunday's power outage at Atlanta's Hartsfield-Jackson International Airport, a representative told Business Insider. The representative said the airline would talk to Hartsfield-Jackson and Georgia Power, the electric company that provides power to the airport, about compensation for the losses. Delta's recovery time was much faster than for previous disruptions. In April, Delta lost $125 million after canceling 4,000 flights over the course of a week due to severe storms in Atlanta. A computer failure at New York's JFK International Airport in August 2016 resulted in a $150 million loss and 2,000 cancellations. Delta said its speedy recovery from the Atlanta power outage resulted from new preventive measures the airline put in place to respond to unexpected disruptions.